We are proud to introduce you to the amazing team behind Coda Resources. Shortly after marrying his wonderful wife Rachelle, Hillel Tropper joined the team at Coda Resources. 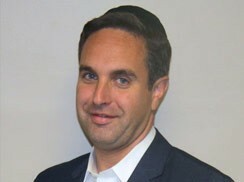 Hillel has held various positions throughout his tenure at Coda and now serves as the Chief Executive Officer. As CEO he has overseen Coda’s transformation from a small distributor of “sewing notions” in New York’s garment district, to a leading 21st century, global manufacturing enterprise. Having had the opportunity to work alongside his grandfather, uncle and father, Hillel has gained a tremendous appreciation for their business expertise and utilizes their mentorship on a daily basis. Hillel lives in Brooklyn, New York with his wife and seven kids. 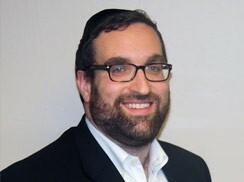 While not busy with work or juggling his many kids’ schedules, Hillel enjoys skiing, scuba diving and other water sports. 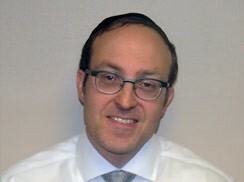 Moshe began his career at Coda in 2002 and specializes in its operations in Asia. He is responsible for having developed strong manufacturing capabilities and an extensive regional sourcing network in China. Moshe diligently travels to China every few weeks to make sure that all of Coda’s overseas operations run smoothly and efficiently. 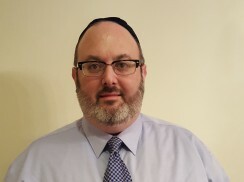 At home in Lakewood, New Jersey he and his wife Shulamit are raising their 7 wonderful kids. In his spare time, which he not-so-jokingly denies he has, he enjoys reading and playing ball with his kids. In fact, he’s just two kids shy of a full, family baseball team! 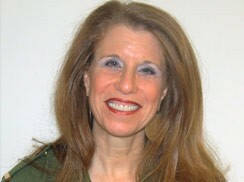 After receiving a bachelor’s degree in Accounting from Touro College and a master’s in business computer information systems from Baruch College, Baruch became a Certified Public Accountant in the State of New York. Baruch started his professional career at Deloitte & Touche as a senior accountant in the Banking & Securities Group, and joined Coda Resources in early 2003 as a controller. He flourished at Coda and was promoted to CFO in 2005—a post he still holds. 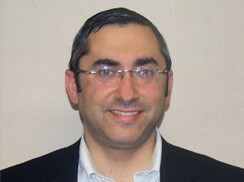 Baruch resides in the Midwood section of Brooklyn, NY with his wife and children. When not working he enjoys biking, playing chess and traveling. He recently returned from an exciting rafting trip in Pennsylvania and looks forward to visiting New River Gorge in West Virginia. 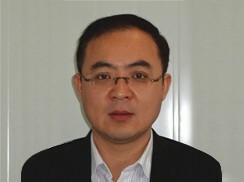 Vincent Wan joined Coda in August 2010 and is the general manager of Coda China operations. Before this he was the general manager of Swiss Gastoy Bakery Beijing company. Vincent and his wife, Grace Li, have two daughters, Apple and Atina. Vincent enjoys family parties, traveling, running, reading, and watching games. When most people think of a Yale graduate they often assume that he must be all brains and no brawn. This is not the case with Bill. Aside from graduating Yale with academic excellence, he set several records in hockey and baseball. After graduation, he was offered a contract by the Philadelphia Phillies and a position on the US Olympic hockey team. Instead, he chose to pursue a career in business and has since held various top management positions with several companies. Bill joined Coda Resources in 1992, and as VP of Coda RSS, he led the company through a period of unprecedented growth, gaining various large multi-national corporations as clients. Bill and his wife, Susan, live in Woodbridge, CT. They have 6 children and 14 grandchildren and are very involved in their lives. When not busy with work and family obligations, Bill can be found on the golf course, tennis court or hockey rink—often engaged in friendly competition with his family. 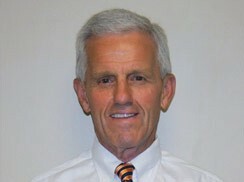 Steve Keilson joined the sales team at Cambridge Resources in 1999. Just a few years later in 2005, he was appointed Vice President of Sales and has led the company through an aggressive growth period since then. Although his strong work ethic and dedication to premium industrial products might make his colleagues think he is all “left-brain,” he actually has quite a strong artistic side. At home he spends much of his time playing the keyboard in his family band with his children. They are currently preparing the release of their fifth album. Prior to joining Coda, Stuart spent 20 years selling to the Pharmacy, Grocery, Mass and Discount markets. Stuart joined Coda Resources’ sales team in 2014 and is involved with Coda’s Retail Supply Solutions division. Stuart’s responsibilities include the management and growth of Coda RSS’s major not-for-resale accounts and the development of new business. Stuart resides in Queens, NY, with his wife and two children. When not working he enjoys music and spending time with family and friends. Stuart is active in his community and volunteers a large portion of his free time as a paramedic. Miriam graduated from Thomas Edison State College with a BA in computers, and started her career in marketing as a graphic design associate at a novelties wholesaler. After a few short years, having become a seasoned marketing veteran, Miriam joined Coda Resources. In early 2015 she took over the marketing department and has since been working hard to develop and grow Coda's brands. Outside of work Miriam enjoys meeting new people, laughing, and playing Settlers of Catan. 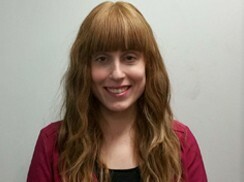 Originally from Montreal, Canada, Miriam currently lives in Brooklyn, New York with her husband and son. Charnie has been a member of Coda Resources for almost 30 years and has served in many different roles throughout that time. Whether it is human resources, accounting, customer service or logistics, this Renaissance woman always does an exemplary job. Around the office, Charnie is known as the gregarious workaholic who always has a huge smile on her face. At home she is the proud mother of three daughters, and recently became an even prouder grandmother. When not working or caring for her children, Charnie is passionate about cooking and loves entertaining guests.